Emary Brings Career to Close at Hornady® - Hornady Manufacturing, Inc.
Grand Island, NE — Ask Dave Emary what he liked best about his job as senior ballistics scientist at Hornady, and he'd tell you that it was finding better ways to do things. "At the heart of me, I'm a tinkerer," Emary said. To borrow an expression from aeronautics, this Air Force veteran is inclined to "push the envelope," to think outside the box. "I'm not one willing to just go with the status quo," Emary said. 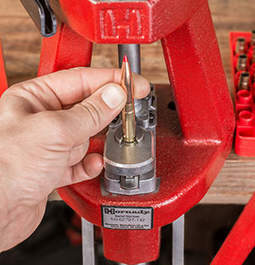 Over his 24-year tenure with the company, Emary's tinkering and envelope pushing helped accomplish some of the biggest breakthroughs at Hornady. Although Emary said he was merely in the right place at the right time, the list of projects he influenced in one way or another is a long one. 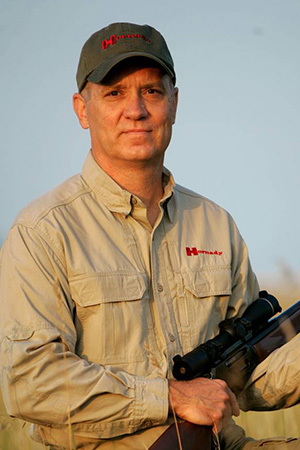 "Dave has been an integral part of the innovation that Hornady Manufacturing is known for," said Steve Hornady, company president. "His vision, inquisitiveness and determination have led us, time and again, into new frontiers of ballistics achievement." 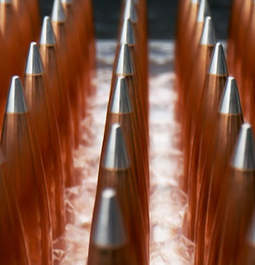 Fans of Hornady products will quickly recognize the names of ammunition lines such as Critical Defense®, Precision Hunter™ and LEVERevolution®, or cartridges like the 6.5 Creedmoor and 17 HMR, but those are just a few of the dozens Emary worked on after being hired as bullet/ammo lab manager in 1994. Emary came by his interest in ballistics naturally, growing up on a farm near Wakeman, Ohio, where he began shooting when he was 10 years old. His dad had a .22, and he shot a lot of small game, rocks and other targets of opportunity. After earning his Bachelor of Science in physics from Bowling Green State University, he worked for a year at the National Radio Astronomy Observatory's Karl G. Jansky Very Large Array in New Mexico before joining the U.S. Air Force. In the Air Force, he earned a second bachelor's degree, in aeronautical/astronomical engineering. He served for six years, rising to the rank of captain. After the Air Force, Emary worked at the New Mexico Institute of Mining and Technology's Energetic Materials Research and Testing Center (EMRTC), the largest ordnance-testing facility in the U.S. outside the government. "That's where I really got into the ballistics side of things," Emary said. Among other things, research by Emary and his colleagues led to the development of the electromagnetic railguns now being used by the U.S. Navy that launch projectiles at 4,500 mph. From there, he went to work for St. Marks Powder in Florida, the largest gun propellant producer in America. There, his work caught the attention of Steve Hornady, who offered Emary a job. 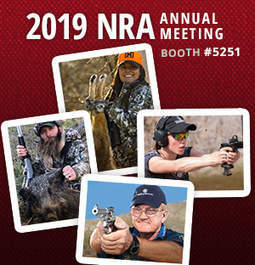 "Dave had built a reputation as an innovative thinker and problem solver, and I wanted those qualities for our team," Hornady said. For his groundbreaking work, Emary was honored as one of Outdoor Life's Top 25 for Innovation in 2007. Emary described his job at Hornady as a mix of problem solving, keeping production going and researching new products. Although he has retired from Hornady, he's still using many of those skills in a new job at a familiar place — as director of engineering at the Energetic Materials Research and Testing Center. EMRTC is internationally recognized and has over 60 years' experience in explosives research and testing. For Emary, it's just his way of easing into retirement. 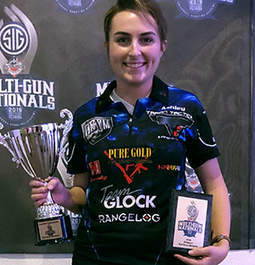 "I feel incredibly blessed to have been able to be a member of this industry, Hornady Manufacturing and to have been afforded the opportunities I have been given," Emary said. "I thank the Lord every day for the success I have had, which has been enormously aided by many other people." Although retiring from Hornady, Emary will continue to work for Hornady as a consultant.